Welcome to this web site. I hope you are enjoying it. Please pass it on to a friend. Also feel free to contact me if I can ever help you with your photography or digital imaging needs, and equipment purchases. See the contact information page. My love for photography goes back to an early age of 11 when I was taught photography in the sixth grade. Tom Butler, a North Carolina artist, who is now known throughout the US for his flag paintings, taught the course and showed me the joy that you can have with a camera. I have been hooked on photography every since. After the sixth grade, I studied photography on my own and became the year book photographer in high school. Two teachers there gave me the confidence I needed to pursue photography. Teachers can make an impact on students! After high school, I attended Randolph Technical College in Asheboro, North Carolina and got a degree in photography there. 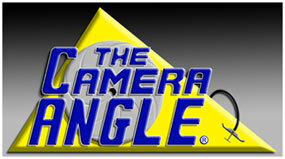 I later opened a camera store and ran it until 1997. I still offer photography equipment and supplies, mostly to industries, but I can get anyone what they need. See the Photographic Supplies page. During that time I served as a member of the Professional Photographers of North Carolina and the Photo Marketing Association. I also developed products for the photography market. One of those products is a patented camera strap that is also featured under the Photographic Supplies page. As you will see in the rest of this site, I am still involved in photography and digital imaging. Please take time to go through the site. Again thanks for stopping at our site and don't forget to tell a friend about us.